Cuba's National Assembly has confirmed Raul Castro’s appointment to succeed his brother Fidel as the nation's President. 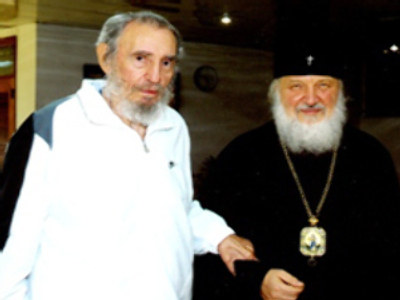 Fidel Castro ceded power to his 76-year-old brother in 2006, after he underwent surgery and could no longer lead the island. Raul Castro has raised expectations of reform, stating last year that the country required “structural changes” and acknowledged that wages were too low to satisfy basic needs. Five years younger than Fidel Castro, El Commandante's brother Raul has spent most of his life in the shadow of Fidel. He may be seen as a new hope for the island, even at the ripe old age of 76. There are hopes among Cubans home and abroad that Raul will usher in reforms, however modest they may be. Last year he hinted at this and acknowledged that government wages for workers in the communist country do not satisfy basic needs. As First Vice President of Cuba's Council of State, Raul was his brother's constitutionally designated successor and appears to be a shoo-in for the presidential post. Raul has already been in charge of the country for 18 months since ill health forced Fidel to step aside. Some say Raul's style is businesslike and efficient while others call it a bit boring. He is not as charismatic as his brother and rarely speaks in public for more than half an hour. But he is seen as the more pragmatic of the brothers and is largely thought to be more likely to be able to do business with the U.S. government. Some analysts suggest he would help the country make the transition to a “softer”, more market-orientated form of communism. The transfer of power in Cuba has received a considered reaction from the United States.Democratic senator Joseph Biden says they need to prepare for a different relationship between the two countries. “I think the United States should be preparing for the prospect and possibility of a soft landing after Raul Castro. I think that means we should be setting up a mechanism for enterprise zones, being able to help promote the Cuban economy if and when they move to a more rational system. I also think we should be taking steps now to allow mail, some increased travel for family members, some increased aspect of remittances going from Cuban families back to Cuba. But I do not think we should lift the embargo until the political circumstances in Cuba changes significantly,” he said.